How Much Money is Your Site's Bad Link Experience Losing You? Backlinks are an essential part of digital marketing. Inbound links are possibly best known for helping websites rank higher in Google search results. But they also serve an important role in traffic and trustworthiness. Inbound links to ecommerce sites are especially important for your product feeds for Google Shopping ads, display ads, and affiliates. Every link to your pages is a potential sale. And, just like in search engine optimization, meeting a user’s intent and expectation with the target page is vital to your marketing success. Nearly 1 million of the 22 million websites reviewed by WooRank is an ecommerce site. Half of the sites analyzed had 50,000 backlinks or more, 60% had 100,000 or more, 75% had 170,000 or more and 5% had 1 million or more. 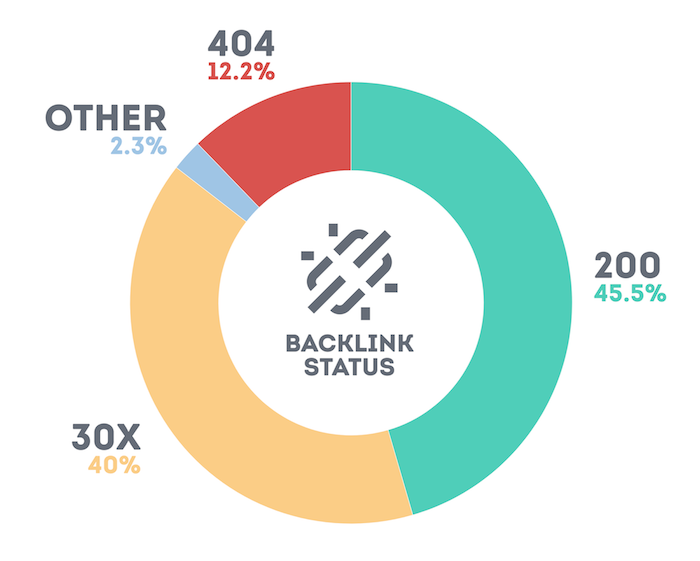 12.2% of backlinks send users to a page that returns a 404 status. 85% of redirected backlinks follow best practice for SEO and user experience for redirecting. 11.4% of redirects send users to a website’s homepage. 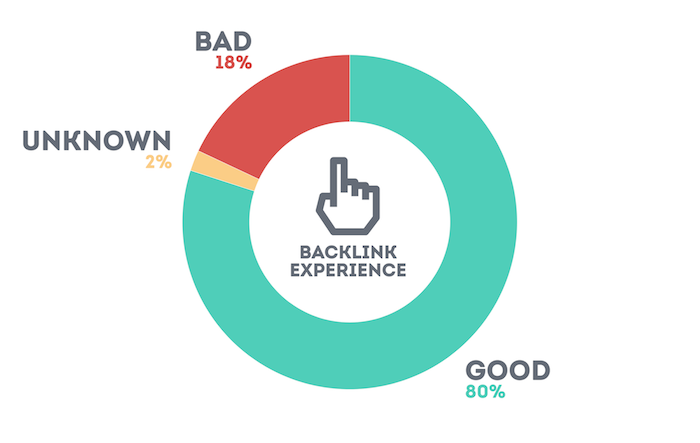 In total, 18% of backlinks provide users with a poor link experience. 18% of backlinks provide users with a poor link experience. What Do We Mean By "Link Experience"? Why Does it Matter? When a user on a website clicks on a link, that person has an expectation of what benefit that page will provide them. It could be something like a particular video, an article with certain information or, in the case of ecommerce, a product to buy. For an online business, sending people to pages they didn’t want to visit will impact sales (even if it’s not your fault, users might still blame you). Links pointing to pages that result in a 404 or redirect to an irrelevant page is leaving money on the table for ecommerce websites. 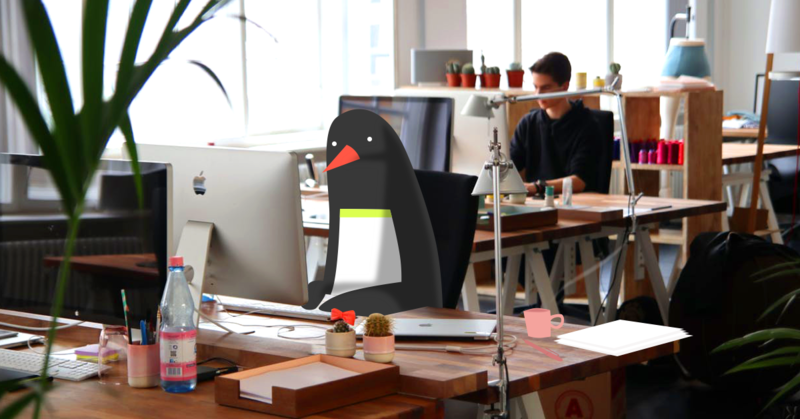 Since there are 2-3 million ecommerce companies in the world, and almost 1 million of the more than 22 million websites reviewed by WooRank is an ecommerce site, we got curious. What percentage of backlinks on the web don’t meet user expectation or intent? We looked at a bunch of links. We found ourselves 1000 ecommerce websites Alexa ranks between 150,000 and 200,000 and between 1000 and 5000 product pages. Then we queried Majestic’s API to find their backlinks. To get the best links, we took the top 1,000 backlinks according to Majestic’s Trust Flow and Citation Flow metrics. Since we didn’t want outlier sites with just 1 or 2 links or tens of millions of links throwing off our numbers, we tossed out websites that had spammy or otherwise low-quality link profiles. Half of our websites had 50,000 backlinks or more. More than half (60%) had 100,000 or more and 75% had 170,000 links or more. Five percent of websites had 1 million links or more. On average, each domain’s link profile that we analyzed had 20% unique target URLs. That gives us a grand total of 975,179 unique backlinks pointing to 154,728 unique URLs. Then we took those target URLs and crawled them using Site Crawl, following the links until we reached a page that returned a 200, 4xx or 5xx HTTP status. Just at first glance, we see that more than a tenth — 12.2% to be exact — of ecommerce backlinks send users to a page with a 404 status. If you’ve got an ecommerce site, more than 1 out of every 10 backlinks to your website points to a 404 page. 12.2% of backlinks end in a 404 status. For those running PPC campaigns, that’s potentially throwing nearly 10% (or more!) of your ad spend right out the window. Even if you aren’t running paid campaigns, that’s a healthy chunk of referral traffic that now has a negative impression of your company. We took a closer look at that 40% of links that had at least 1 redirect (the orange section above). Where do all those redirects end up? 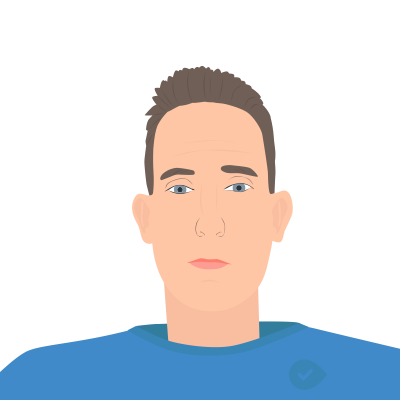 Valid/Other: Without diving into all the details, these are redirects that we believe help meet user expectation and intent. This could be an out of stock page, related products page, category page or something else. URL canonicalization: These are put in place as a WWW resolve or to send users to the HTTPS version of a page. For example, http://example.com to https://www.example.com. This is in line with SEO and UX best practice. Gating: Whatever page the link is pointing to requires a login, so the user is redirected to a login page. Again, not a big deal if you mean for that page to be gated. Although, if you’ve got a page that’s gated with a lot of links, you might want to consider making it public. "Soft error" redirects: These redirects are supposed to handle instances where the URL requested doesn’t exist. They send users to a page that says “error”, “not found” and/or “404” on it. Homepage redirects: These redirects send users to the website’s homepage instead of sending them to an error page, out of stock page or a related product page. Basically, they’re using their homepage as a 404 page. Open redirects: 1.55% of backlinks are open redirects. Open redirects occur when a website allows user-submitted links to redirect a user to a different page. Unfortunately, you can’t stop people from publishing them online, but you can prevent them from redirecting. The good news is that nearly half of all redirects point to a page that provides a good user experience. Another 35% handle canonicalization (HTTP vs. HTTPS and WWW resolve), so not a problem. A bit less than 1% are for pages that require a login — probably ok but worth verifying just to be sure. That means almost 85% of redirected backlinks are all good. However, when we add that 0.5% of links that send users to soft error pages to the actual 404 links, that brings us to 12.71% of backlinks pointing to error pages. 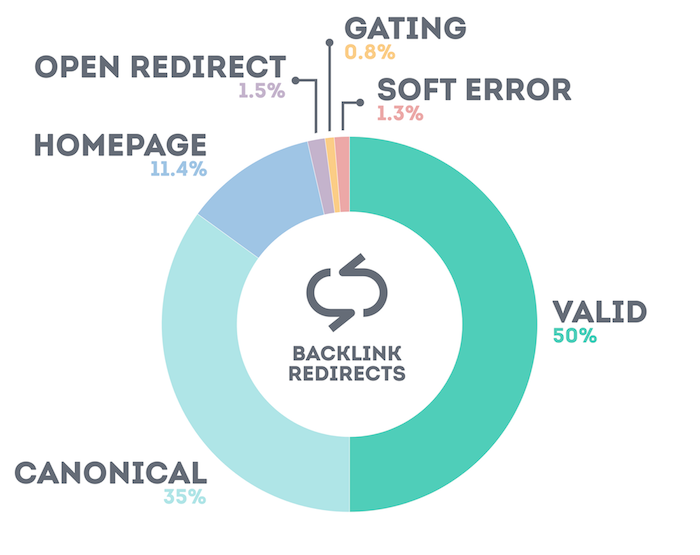 And then look at that green slice: 11.4% of redirected links send users to the website’s homepage. That’s an additional 4.6% of all links that don’t bring users to the page they wanted to land on. 11.4% of links that are redirected send users to the website’s homepage. Now we can see that 18% of ecommerce backlinks aren’t sending users to a page that matches the user’s needs or expectations. 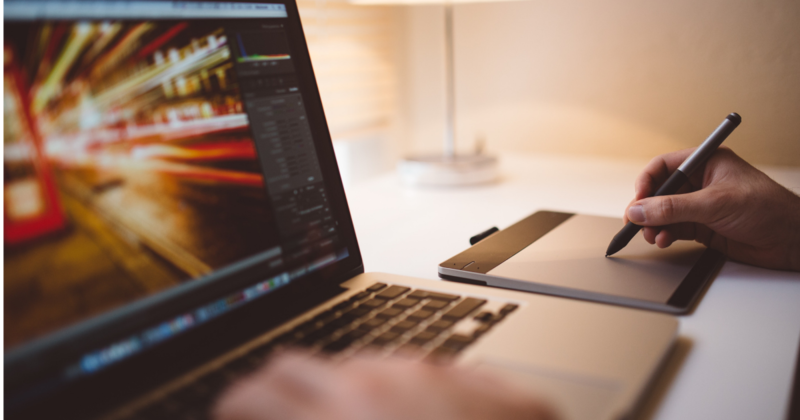 What’s so bad about homepage redirects? You might be wondering why we’ve included links that redirect to a website’s homepage as "bad link experience". At first glance, it might sound like a good idea to send users to the homepage rather than an annoying error page. It’s an Ikea cabinet pinned to someone’s home decorating board. One would expect clicking the View link from Pinterest would bring the user to the product page so potential buyers can learn more about the product, or even order it. But the product has been discontinued. So when someone tries to click through to the product page, it redirects to the Ikea homepage. Now, if someone is in-market for a cabinet and wants to buy that product, or check its specs, they can’t. They’re on a page they don’t really want to be on. Even worse, they have no idea why they’ve wound up on the Ikea homepage and have to go searching through the site to find it. That’s why redirecting pages to your homepage provides a bad link experience for users. Of the backlinks redirected for canonical reasons, 0.06% redirect users from HTTPS to HTTP URLs. As in, sending someone from https://example.com to http://example.com. We’re not sure why. The HTTP status of an ecommerce site’s category and product pages is an integral part of the business. They impact the effectiveness of affiliate programs, product feeds, AdWords campaigns, retargeting and any other effort that focuses on your products. Having links that send users to error pages or the homepage is at best leaving money on the table and worst actually costing you money in the form of clicks that don’t even have the potential converting. So what should you do to maintain links for your ecommerce site? Even though you don’t control when and how people link back to your product pages, you can still find and track backlinks pointing to nonexistent and deleted pages. Go to Customization> Custom Reports and click the "+ New Custom Report" button. Select the Page, Full Referrer and Page Title dimensions. Select the Unique Pageviews metric. Add a filter on Previous Page Path under Behavior that includes the exact phrase "(entrance)". This filters out people who arrive on your 404 page from an internal page, leaving you with just your backlink traffic. Add a filter on Page Title to include whatever page title you use for your error page. You can make it an exact match by using the entire title or use regex for just part of the phrase. Page: The URL that resulted in the 404 error. Full Referrer: The full URL of the linking page. Note that you’ll see some traffic here labeled as "Google" or “Direct” that was mistakenly classified as referral traffic. You can add a regex filter to the Full Referrer dimension to filter these out if you want. Or, you can just look for the rows here that are full URLs. These are your backlinks. Unique Pageviews: The number of sessions in which this error occurred. 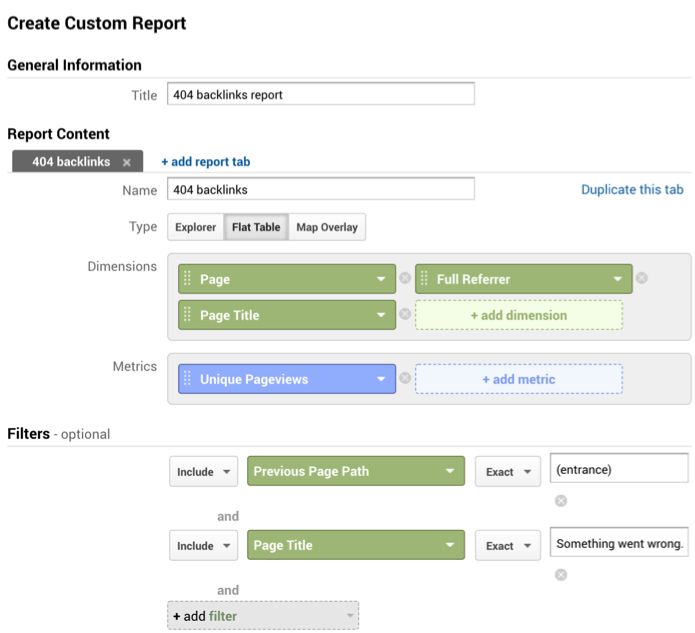 If you want to create a report to find broken internal links, just duplicate the report you just created and change the Full Referrer dimension to the Previous Page Path dimension. This will give you the URL of the page hosting the internal link. It’s natural for product feeds to suffer some attrition when it comes to valid links. Products sell out or get discontinued all the time. However, it’s imperative to remove URLs from your feed when a product no longer becomes available. Unavailable products in your product feed won’t invalidate it, but it does waste money. Potentially a ton of money. Based on the average Google Shopping CPC, that’s throwing $0.71 out the window every time someone clicks on an out of stock product. Out of stock products waste almost $1 for every click. The same goes for your soft 404 errors and homepage redirects. You’ve just paid almost a dollar to provide a potential customer with a bad user experience, making them less likely to convert in the future. Having actual 404 errors in your product feed won’t waste money like redirect issues will — most networks will simply remove broken links from your feed. However, if you have too many broken links or too high a percentage of URLs that 404, and your feed will be disapproved. Fix your 404 and soft 404 links by crawling your product feed links before submitting them to Google or your other CPC platforms. Avoid wasteful out of stock spend by always keeping the Availability column of your product feeds up to date. This will ensure that out of stock, discontinued or otherwise unavailable products are removed from your feeds. Whatever you do, don’t remove the pages for products that are out of stock. That just creates 404 errors. Instead, follow best practice for ecommerce out of stock pages by clearly marking the product as unavailable, providing the user with similar products to choose, and enabling the user to bookmark to signup for in-stock notifications. It’s tempting, but don’t use your homepage as an error page. This is actually a terrible user experience. A person who clicks on a link thinking they’re going to see a page for a cabinet, to take our Pinterest/Ikea example from before, is not going to think positively of a website that sends them to the homepage with no warning. Many people also redirect removed pages to the homepage as a way to preserve link juice for SEO. Again, this doesn’t help as much as you’d think as Google can see that the homepage is not all as relevant to the linking page. Instead, optimize your redirects around serving the user’s intent and expectation. Ideally, when you remove a product page, redirect that URL to a related product. If that’s not possible or feasible, use an out of stock page or suggested products page. 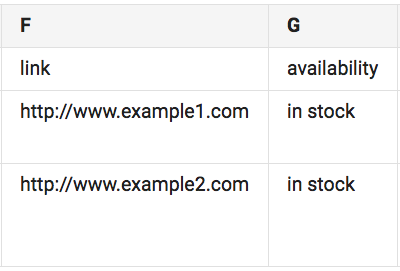 Optimize your redirects around serving the user’s intent and expectation. First of all, your 404 error page should actually return a 404 status. Page status and page content are entirely separate concepts, so just because your page says "Not found", "404" or "error" in the title, body or URL doesn’t mean it’s an actual 404 page. When a user is served a page with a 200 HTTP status instead of 404, that’s called a "soft 404" error. When this happens, Google won’t properly interpret the status of your pages. If your error page doesn’t return a 404 status, Google will crawl and index that page, meaning it could potentially show up in search results. True error pages, those that return a 404 status, won’t be crawled or indexed, so they won’t appear in search results. You should also be mindful of what you put on your error page. Remember that the user is coming with the intent to investigate, or possibly purchase a product. Use links and maybe even a product suggestion engine to make your error pages more useful and user-friendly. 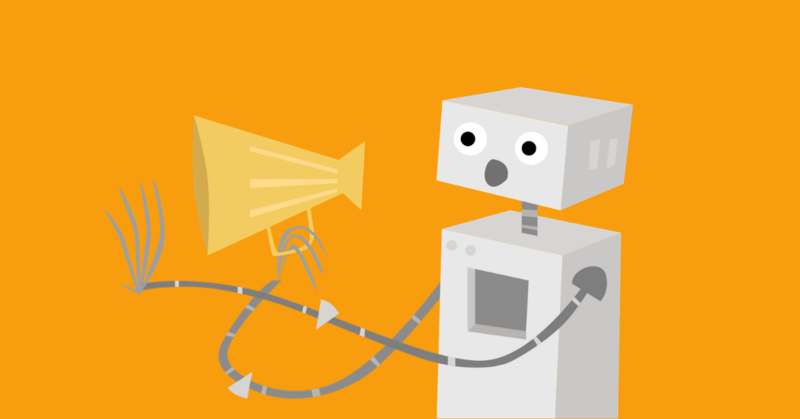 Check out our guide to 404 error pages to see some examples of what makes a great error page. It’s true that ecommerce website owners don’t have 100% control over whether their site’s links point to a real URL or not. Typos happen all the time and affiliates can use out of date feeds. However, our research has shown that ecommerce suffers from a surprisingly high rate of link rot. On top of that, error pages and redirects, while implemented correctly from a technical point of view, are not always done with the user’s best interest at heart. Depending on your shop’s link profile, traffic level and conversion rate (3% global average in 2016), you could be losing out on dozens or even hundreds of sales per year.